As the luxury car market in North America continues to see new entrants, the all-new Cadillac 2014 CTS sedan ascends into the heart of the midsize luxury market with expanded performance, elevated luxury and sophisticated technology. We had the opportunity to test drive the new CTS VSport to learn first-hand what the folks at Cadillac are offering luxury car buyers who are looking for some excitement. Cadillac’s shield grille and signature vertical lighting elements – including LED front signature lighting detail – evolve on the CTS. The grille is wider, with a more detailed texture, while the headlamps flow up with the hood line, incorporating crystalline LED light guides for a technologically advanced appearance with more uniform illumination. Active grille shutters are included on some models, improving aerodynamic performance on the highway to enhance fuel efficiency. A longer, lower and more athletic-looking proportion is introduced on Cadillac’s landmark sedan and evolves the brand’s Art & Science design philosophy. While growing five inches (127 mm) in length, including a 1.2-inch longer wheelbase, the roofline and cowl – the base of the windshield – are about an inch lower, dimensions that complement the longer exterior to accentuate the car’s lean aesthetic. The 18-inch, ultra bright machined aluminum wheels were a work of art that really elevated the appearance of the 2014 Cadillac CTS VSport Premium. Our VSport test model also sported dual stainless steel exhaust, intellibeam headlamps, LED vertical accent lighting, illuminating door handles and illuminated front door sill plates. 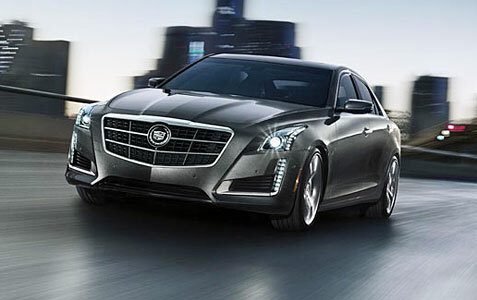 The look of the 2014 CTS clearly resembles the new ATS sedan with an ultra-athletic look that is a positive from all angles! Cadillac probably realized that in order to take the 2014 Cadillac CTS VSport Premium to the next level, the cabin space needed a big leap forward, and they delivered in some kind of way! A roomier, driver-centric cockpit interior with integrated technology and hand-crafted appointments complements the exterior and supports the CTS sedan’s driving experience. Eight available interior environments are offered, each trimmed with authentic wood, carbon fiber or aluminum. Leather seating is available, including available full semi-aniline leather with hand-crafted, cut-and-sewn executions. The CTS sedan seamlessly blends comfort, convenience and safety technologies with the interior’s hand-crafted appointments and flowing design. Active safety features provide alerts and intervene when necessary to help avoid crashes. 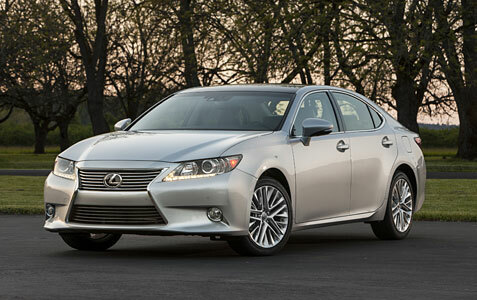 As Lexus continues to roll out hit after hit, the all-new 2013 ES 350 Sedan keeps folks at Lexus smiling! Just because this new Lexus is better in all aspects, that doesn’t mean the pricing has to increase, and Lexus did a good job of keeping this elegant sedan affordable for those seeking luxury but not willing to break the bank. The new ES features a lower, progressive profile and clean, continuous styling lines from front to rear. All four corners are pulled tightly inward to the wheel arches, creating distinctive proportions. The wheelbase of the new ES has been lengthened by 1.8 inches, while the overall length of the vehicle has grown by just one inch, resulting in a more spacious interior. The new ES unmistakably bears the new face of Lexus with its distinctive, spindle grille. The LED daytime running lights and combination rear lamps reflect the “L” design motif. The ES 350’s rear bumper sports dual exhaust pipes. New exterior colors for the 2013 ES include Fire Agate Pearl and Silver Lining Metallic, which our test model sported. The most obvious improvement is the front facia, as Lexus really nailed it with a signature front that looks to be something Lexus can brand with its luxury lineup. Our test model also sported 17-inch split spoke wheels with liquid graphite finish and lane departure alert with intelligent high beam headlamps. The modern interior of the 2013 ES has been designed to provide both a sense of openness and security. Sightlines and visibility are improved, controls are logically placed, and new cabin materials express a high level of craftsmanship. You get the feeling from the dashboard that you have entered a car that was truly designed with an executive touch. Designed with attention to ergonomics and driver focus, the cockpit features separate display and operation zones to help keep the driver’s eyes on the road. The instrument panel, with its long, layered look, places the main information display directly in the driver’s line of sight. Just below the center display is a self-illuminating LED analog clock. Controls are clustered beneath the information zone, on the steering wheel and on the center console. For Kia, the Optima has been somewhat of a trailblazer, as many cars on the road today seem to incorporate something from the Optima in their design cues. Since being completely redesigned in 2010, Kia’s dramatic and eye-catching Optima midsize sedan has become a sales leader for the brand and garnered a long list of awards and accolades. 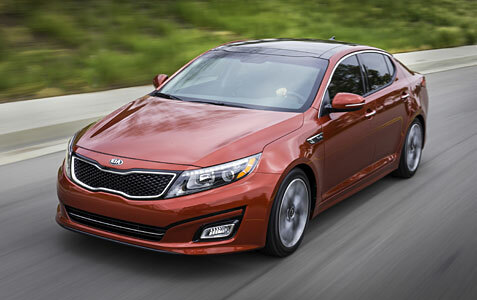 Optima returns to the lineup in 2013 with the same unbeatable combination of head-turning design, fun-to-drive performance, modern amenities and long list of standard safety features, in addition to strong consumer appeal and record sales. We were looking forward to a week behind the wheel of the 2013 Kia Optima SX Premium to see first-hand if all the hype was warranted. The 2013 Kia Optima SX Premium is such a striking looking vehicle and with the snow white pearl paint that our test model was sporting, I couldn’t help but admire this flashy set of wheels. The 2013 Optima projects a refined, performance-oriented aesthetic with a sleek silhouette, aggressive stance and sculpted elements that evoke passion and communicate Kia Motors’ dedication to creating stylish and dynamic vehicles. The Optima’s aggressive face proudly features the brand’s signature tabbed grille complemented by projector headlamps, while Optima’s coupe-like profile is accentuated by a sweeping chrome arc that flows seamlessly from the A through C pillars – a distinctive design element that visually lowers the car while enhancing its proportions. Optima’s roofline connects with its pronounced shoulder line, leading to its sculpted flanks and accentuating its extended wheelbase. 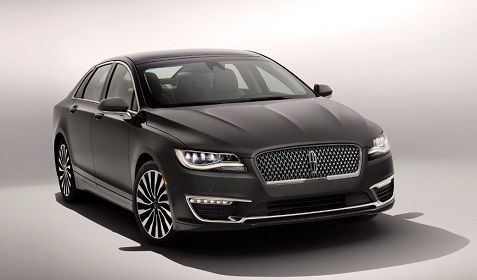 Boldly flared wheel arches and a raked cabin create a sedan with a graceful muscular presence. Many have tried to replicate this look, but there is only one Optima from the front to the rear. Every 2013 Optima comes well-equipped with a generous roster of standard features, with the LX trim offering dual exhaust with chrome tips, solar glass, exterior mirror turn signal indicators, front fog lights, exterior heated mirrors, chrome accented exterior door handles and 16-inch alloy wheels fitted with 205/65R16 tires and a six-speed automatic transmission. The volume-leading EX trim offers larger 17-inch alloy wheels fitted with 215/55R17 tires. Moving to the SX, consumers will find stylish 18-inch polished alloy wheels with 225/45R18 tires, unique front and rear lower bumpers and side sills, a rear lip spoiler, aero wiper blades and HID headlights with auto leveling. Elevating to the all-new top-of-the-line Limited trim that Bullz-Eye tested brings Optima to another level of sporty refinement, adding unique and luxurious 18-inch chrome wheels, daytime running lights, red brake calipers, chrome accented side sills, chromed side mirrors and rear spoiler. Ever since the new Kia Optima launched in 2010, the folks at Kia have continuously improved the interior cabin, and 2013 is no different. With sleek modern lines and a host of thoughtful features, the interior of the Optima exudes performance and was designed with drivers in mind. From the instrument panel that’s contoured toward the driver to create a cockpit-like feel, to the precise gauges and steering wheel-mounted paddle shifters, Optima’s interior provides the experience of a performance vehicle without sacrificing comfort or roominess. A sport-inspired Sportmatic shifter delivers crisp shifts, while an available panoramic sunroof provides an open-air feeling.